The Christmas festive season is in full swing on Taylors Hill with festive lunch or dinners available in The Ardilaun Hotel for the month of December. Award-winning Head Chef Ultan Cooke and his team have introduced a sumptuous Christmas three course menu with tea/coffee and mince pies from 1st December all for €26.50 per person served in The Ardilaun Bistro with larger parties catered for in the Camilaun Restaurant. Popular main course dishes include Traditional Turkey and Ham with Cranberry Stuffing, followed by an old time dessert favourite Traditional Christmas Pudding with Brandy Custard and Vanilla Ice Cream, along with Meringue Roulade with Winter Berry Compote and Strawberry Ice-cream. 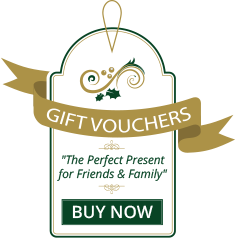 Two Course Menu Options are also available at €18.00 to include Main Course and tea/coffee/mince pies and Three Course Menu Options at €21.00 per person all served until 4 pm daily. Full menu details are available on www.theardilaunhotel.ie. The Ardilaun Bistro has a new all day menu featuring daily specials with the freshest produce and includes delicious fish and roasts of the day, power salads, soups and sandwiches. Traditional Sunday Lunch at The Ardilaun is also another popular option during holiday season in the Camilaun Restaurant, and is the perfect lunch stop after Christmas shopping at the Galway markets, visiting the catching up with old friends, or simply celebrating with family, and is the perfect way to take time out from the hustle and bustle of the city at Christmastime. The Team at The Ardilaun Hotel are busy preparing for an action packed Christmas and New Year Programme this year, with a wide range of events to suit everyone’s taste. Choose from an informal gathering with a Christmas lunch in The Ardilaun Bistro, featuring West of Ireland artisan produce or opt for cocktails and canapes in Blazers Bar or Festive Afternoon Tea, or why not go all out and join in the fun at The Ardilaun Christmas Party Nights. The Ardilaun also provide the option to “Party in Private” for groups of any size from 25 to 380 guests as the hotel has function rooms of varying sizes, so a great night to remember is guaranteed. free parking – all for just €42 per person. with some dates still available, with suitable function rooms to suit smaller groups. A great excuse to stay overnight at The Ardilaun for the Christmas party nights, with bedroom rates for €99 per room (based on 2 guests sharing) with full Irish breakfast and the luxury of the Ardilaun leisure club facilities. 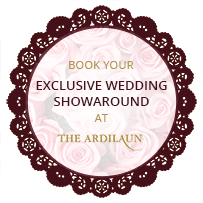 For further details, contact our events team on 091 519703 or 091 519794 or email events@theardilaunhotel.ie.